11 OCTOBER 2014 : We had our breakfast at the hotel around 9.30am as it was included as part of the package( a very good bargain isnt?). 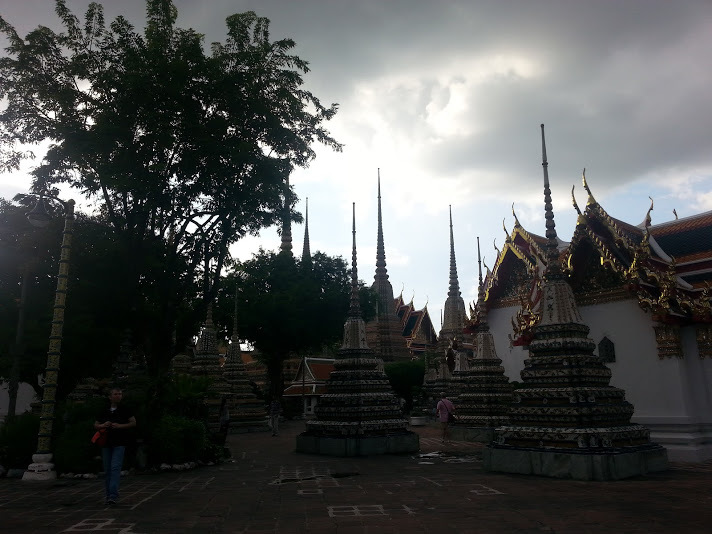 After that , we started our journey for the day by taking taxi from the hotel to the Grand Palace. It cost us around 70baht divided by 3. Thats the perks of travelling with group as you can spread the cost among your group members. But if you are solo traveller, it is advisable to use the MRT. After roaming around that area, we decided to take a boat package to tour around Menam Chao Phraya river. The initial price was 1000 baht for 3 person, but we managed to haggle and reduced it to 800 baht. We did not enter the Grand Palace as the entrance fee was too expensive (20USD), hence we decided to spend the day with the boat. We boarded the boat and we cruised the Menam Chao Phraya river with 2 other traveller from Vietnam. Actually they are not Viatnamese but they are expatriates from USA and France whom are having teaching stint in Hanoi. They are very friendly and I actually amazed by their willingness to fly across the world to teach people from 3rd world country. Among the activities that we did during the trip was feeding the fish ( I tell u, the fishes were damn huge), floating market and end the trip at the Temple of the Dawn, Wat Arun. 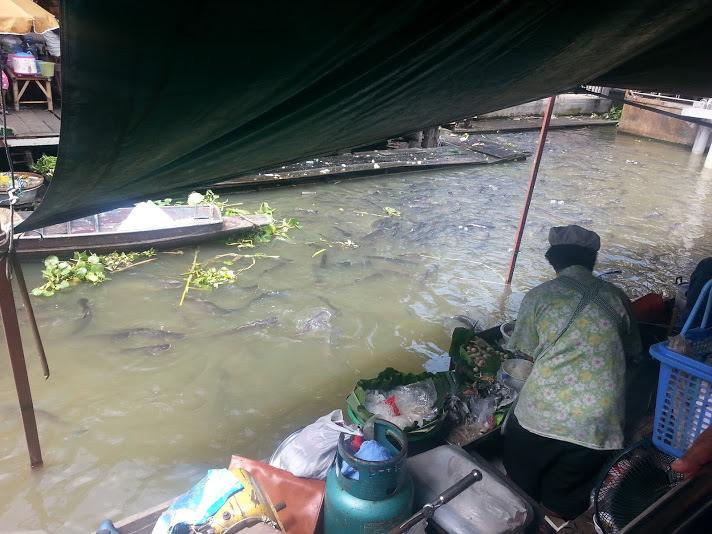 The prices of the fish at the floating market was super cheap and we had our lunch there. I guess it is because the fish was too much and easy to get, hence the price. It was 3 times cheaper than the price of fish in Malaysia. The taste of the fish was fabulous and it was very fresh. 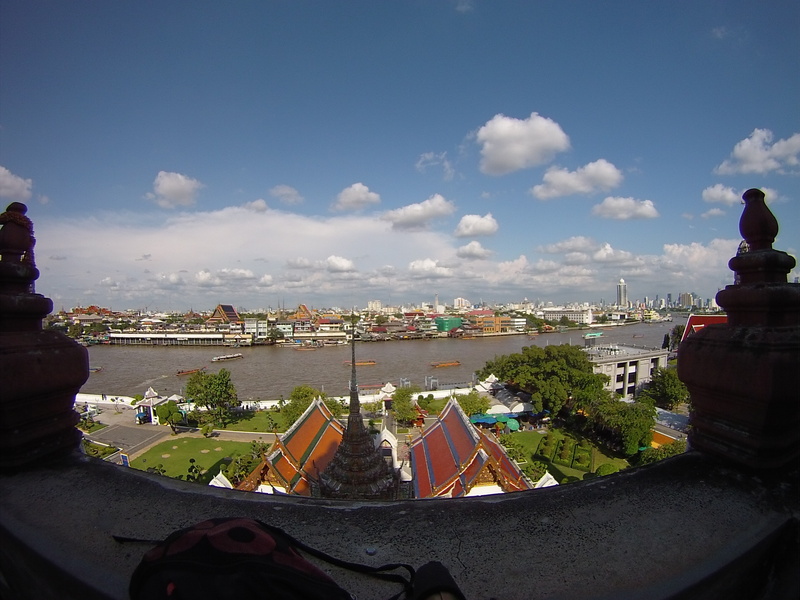 At Wat Arun, we chilled out for 3 hours enjoying the view of Bangkok from the the top of the temple. The Floating market. See the abundance of fish ? After that, we proceed to the The Reclining Buddha complex by taxi. 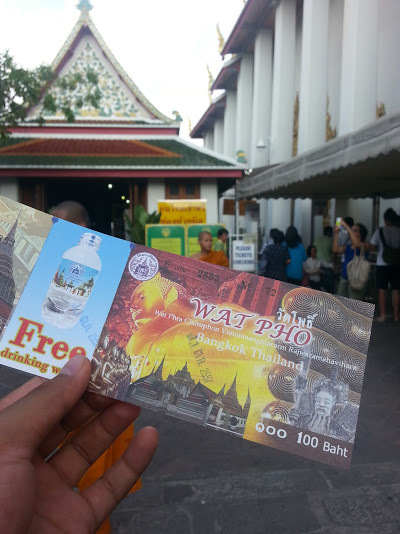 The entrance fee is 100Baht. The complex was very huge, consists of several temple and thousands of sitting buddha monuments. I even stay in their prayer hall and listen to monk’s recitation for about 15 minutes. The architectures were marvellous and wonderful. They use tiles and marbles as their main substance to built the place. There was heavy downpour while we are in. Luckily at that time we already finished touring the whole complex and we did bring disposable rainjacket with us. 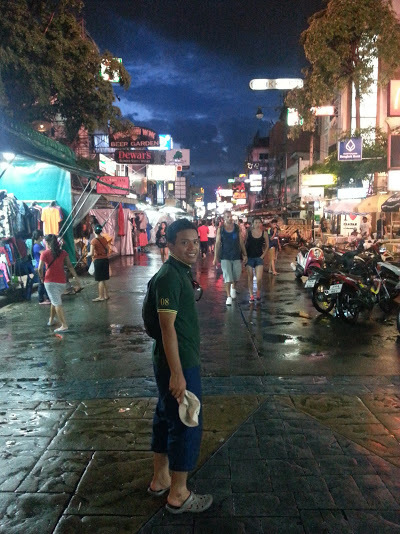 Then, we went to the famous Khao San Road , which is known as the place for backpackers around the world to stay in Bangkok. The street was indeed lively, just like Petaling Street in Kuala Lumpur, except that it is more happening. We had our dinner there by buying fried mee at the stall. If you are a backpacker that like to have collector’s item, this is the place. I bought some flag patches to be patch at my backpack, resembling the country that i have been before. In Khao San road, they even have services for faking passport and license ! Make sure you haggle everytime you want to buy something here. After that, we took Tuk2 to Ratchanewi train station. On our way there, the driver even offered us to watch shows (U know what I mean). We decline the offer. I believe it was a test of faith. Hahaha. Bangkok is no place for the weak-hearted.